I really like Driving and Investigative Questions. In fact, I like them so much more than Essential Questions. You might ask… why? I think it just might be my affection for the revised Bloom’s Taxonomy. You may remember that in the revision the different levels of Blooms were changed into action. In fact, I strongly believe that learning is a verb and is based on action. Take away the word “Question” and both Driving and Investigating are wonderful verbs loaded with action. The word “Essential” standing alone is only a word devoted to describing… a colorful but inactive adjective. Another reason I am fond of “Driving and Investigative Questions” is they allow students to work together in the amazing process of divergent thinking. As students bring this process around to identify answers and ideas that finally converge, they are suddenly back on the path to even higher order divergent thinking. It is amazing to watch students become aware that answers can bring on even more questions. Seems to me that it is a lot as if the students are moving up Bloom’s Taxonomy. I believe that both DQ and IQ allow students to take part in real inquiry and research. If the question is Google-able then it probably is not deep inquiry. Now, using advanced Google skills to find answers that create more questions fits the bill for rigorous standards. Literacy that is built to comprehend, analyze, compare, contrast, and make meaning of nonfiction across the disciplines is essential. Be certain to take a look at the verbs in the standards educators must facilitate with students. These verbs really do provide some great inquiry action that can be found on the super highway of Driving Questions. As students approach the standards in this way inquiry leads to understanding and assimilation of new knowledge. Those educators striving to meet the demands of Webb’s Depth of Knowledge will appreciate using these questions and verbs to promote authentic learning. Last, I like “Driving and Investigative Questions because there are so simple, that they can also be difficult to construct. Let me explain. 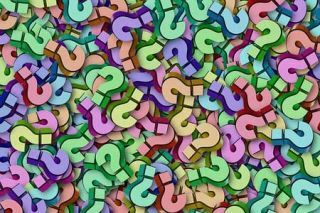 The Driving Question or Investigative Question in Project Based learning and STEM can be often the hardest concept to get across to teachers. Even after a workshop devoted to PBL… questions will come across my email asking for help in constructing and refining the Driving or Investigative Question. Why are driving and investigative questions so difficult to create? Perhaps it is the powerful and simple concept they ride upon in a world where teachers have been taught to use so much of their “educationese language” Educators must work at being aware of the important standards in their content area without blurting them out. It is at this point that educators come across that often talked about idea of “uncovering, not covering”, the standards. Educators are so often told to practice this methodology, but are seldom told how to do it. This is the power of the Driving and Investigative Question and its importance in PBL and STEM. It must be simply stated so that students can uncover the content standards themselves. It should not give away the contents standards which students may not really care about. It should engage the students and create wonderment through relevance to their world. It should drive them to an investigation to “uncover the standards” through carefully planned PBL and STEM. Best of all, the teacher facilitates this learning experience by addressing both content and student success skills. The additional bonus of building important (success) 21st-century skills is a natural outcome. In order for students to “uncover the standards”, they will need to communicate, collaborate, think critically, and provide creative thought. DQ/IQ: How can we as authors write a restaurant storybook menu for animals that live in the forest? EQ: What are the characteristics of the planets in our solar system in regard to atmosphere, surface, and composition? EQ: How can robots provide automation and use computer programs and code to deliver a given task? DQ/IQ: Can we program a robot to ….? DQ/IQ: How might we write and produce a play that could be used today, or in our countries early history, to show why the colonies should declare independence? Keep in mind that the Driving or Investigative Question may take on many names. The key point, is that it drives an investigation based on student owned inquiry. It really is the very first step in providing students that opportunity to not just answer the question, but come up with their own.